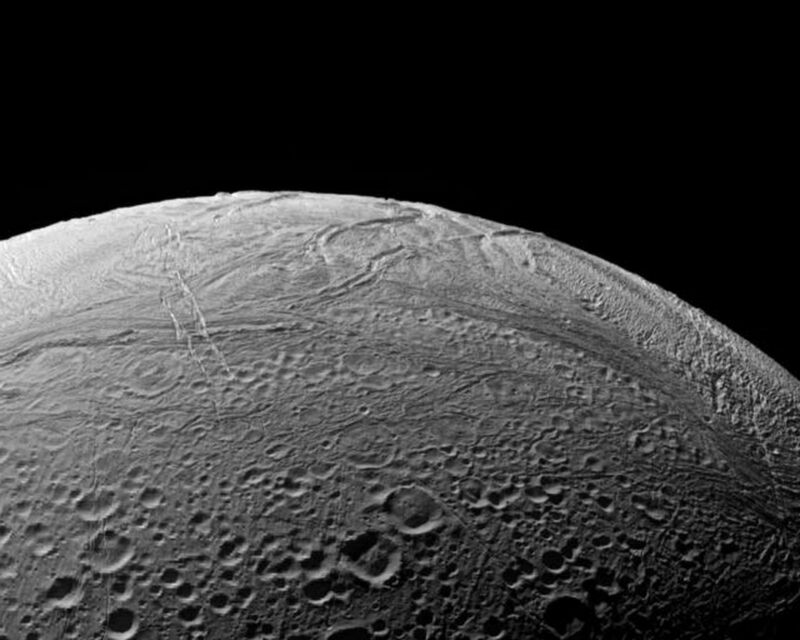 The wrinkled border of Enceladus' south polar region snakes across this view, separating fresher, younger terrain from more ancient, cratered provinces. 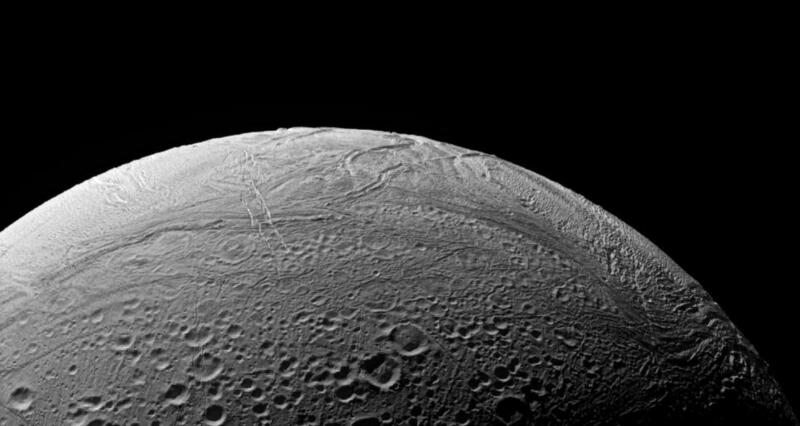 This is the region of Enceladus (505 kilometers, or 314 miles across) that is known to be presently geologically active. 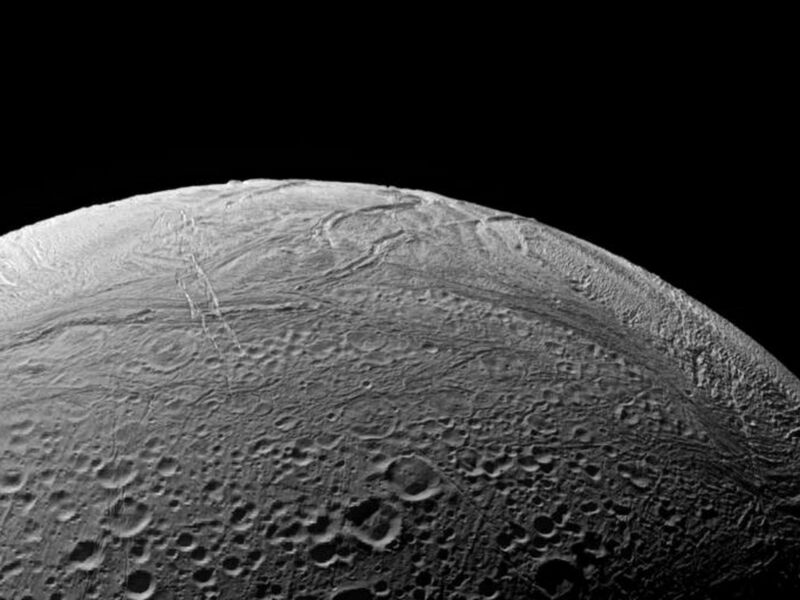 At right are clearly visible ridges and troughs thought to be caused by compressional stresses across the icy surface. 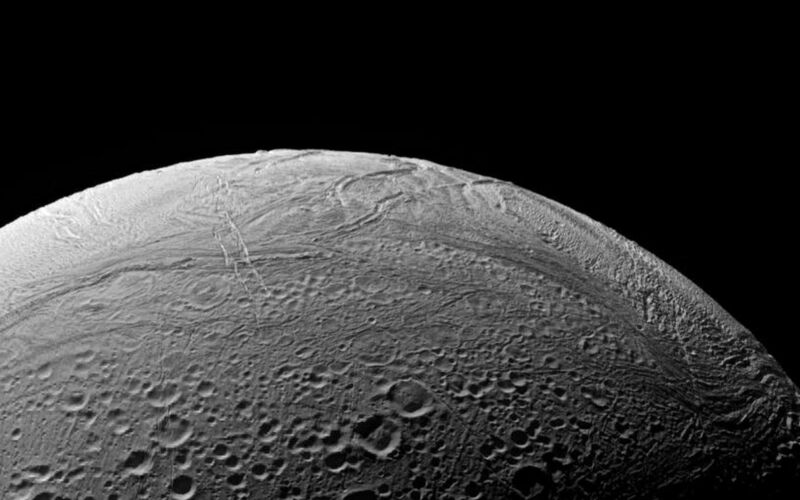 The image was taken in polarized green light with the Cassini spacecraft narrow-angle camera on Sept. 9, 2006 at a distance of approximately 66,000 kilometers (41,000 miles) from Enceladus and at a Sun-Enceladus-spacecraft, or phase, angle of 104 degrees. Image scale is 396 meters (1,300 feet) per pixel.